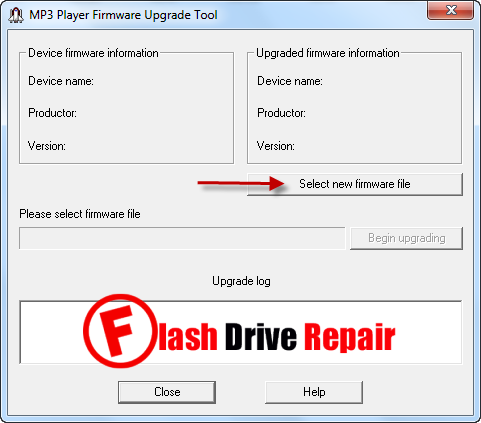 Learn how to repair dead MP3/MP4 players .How can upgrade and update MP3 ,MP4 players firmware .Download MP3 player firmware upgrade tool and MP4 player firmware update utility . 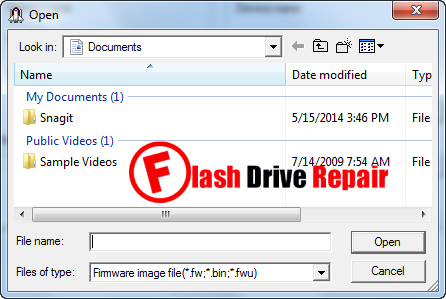 Hello my friends , today i will be out of our site main subject "Flash Drive Repair " and i will explain to you how can repair dead mp3 players and mp4 players and how can upgrade mp3 firmware if we have problems with mp3 player so go and make a cup of tea because it is very big article like a mp3 player repair guide . When we can upgrade Mp3/Mp4 player firmware ? 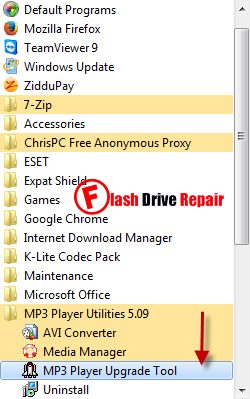 MP3 player upgrade tool , we will use "MP3 Player utilities V 5.09 " . May be you will need directX 9 and Windows Media Player 10 at least . How can Update MP3 player Firmware ? Now we will start to upgrade mp3 player firmware by using MP3 Player utilities V 5.09 .MP3 Player utilities V 5.09 allows to upgrade mp3 ,mp4 player firmware .MP3 player utility also provide you by a converter so If you have an MP3/MP4 player that supports .AMV video playback, then you will need a converter tool "AMV Convert Tool " to convert your videos to a .AMV file so it will be playable on your player. Download MP3 Player utilities V 5.09 from the previous download link , then set up the program . Connect your mp3/mp4 player to your computer using USB cable and be sure that Windows detect your MP3 player .If windows doesn't detect your MP3 player , you can't upgrade mp3 player firmware . Open MP3 Player Upgrade Tool from Start Menu and Programs List . Click Select New Firmware File , it will open a window and you can choose the firmware file located in your computer by this format " .bin or .fw " . After you choose your MP3 player firmware click on Begin Upgrading . Now The software upgrading your MP3 player firmware , just wait until finish and you must not remove your MP3 player from computer while updating because it will harm your mp3 player . Please Note that : You should take backup of the existing firmware of your player before updating with the new firmware .Wrong Firmware means Dead Player and your mp3 player will not open again so you should find the correct firmware for your MP3/MP4 player . You must wait until finishing the update process .It will take some time so you should be patient . Now Upgrade firmware is success . 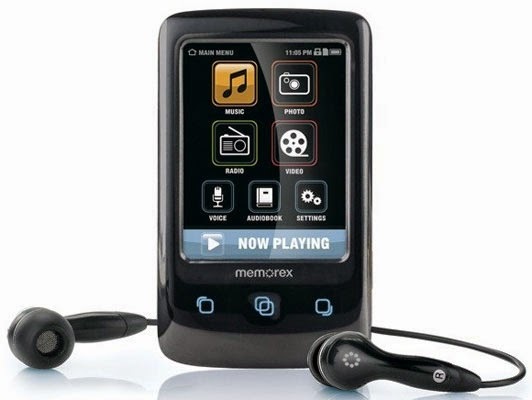 How can i get the correct firmware for my MP3/MP4 player ? Those firmwares are to be used ONLY for developers and people wishing to recover their dead players. You have a 99% of chance to kill you player if you flash it without checking the Board ID .To learn how to determine your MP3 player firmware from Board ID , please read this article from here " how to find your correct mp3 player firmware " . To repair dead MP3 player , please read this Dead MP3 Player Recovery Guide from this good site "Dead Player Recovery Guide " . To download Firmwares for standard s1 mp3 player , please visit this link " standard firmware s1 mp3 player" . please visit this link "Firmwares for MP4 s1 mp3 player "
To extract the exiting mp3/mp4 player firmware , please use this useful tools " S1MP3 tools " .